We all agree that a good birthday party should be easy to organize. But sometimes teenagers can be, well, let’s say, a little picky. Indoor Paintball is one of many great birthday party ideas and makes the perfect 12th, 13th, 14th, 15th or 16th birthday party activity, where adults are welcome to participate. 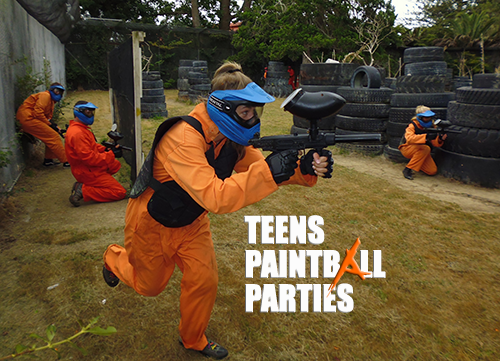 Asylum Paintball is Auckland’s only indoor and outdoor paintball park and we are all about creating experiences that are fun, memorable and easy to organize. We are happy to greet 2017 with brand new range of entertainment packages including Teenage Paintball Birthday Parties. Sessions run in private format and our trained instructors are dedicated to running the best, most exciting games. Packages have a set price and come with all the gear. Group allowance ensures that no one in the party will run out of paintballs to soon. Planning a teenage birthday ? Think Asylum Paintball Teenage Birthday Parties. As always, please contact us if you would like to know more about our exclusive offers.